Mark Laney started his legal career in 1972, after graduating from Texas Tech University School of Law in 1972, as in house counsel for The Southland Corporation, better known for its convenience stores, 7 Eleven. 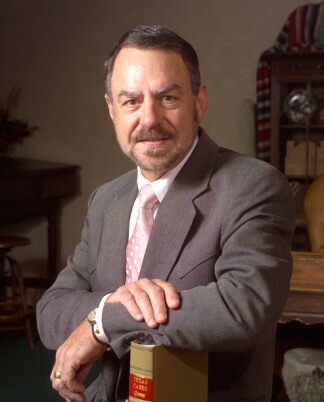 He began his private practice in Plainview, Texas in 1976. "Stovall & Laney" continued until shortly before the death of Richard Stovall in 1985, and then "Laney Law Offices" continued from 1985 to1990 when the firm became "Laney & Stokes". In 1982, Mark became double Board Certified in both Civil Trial Law and Personal Injury Trial Law by the Texas Board of Legal Specialization. He is a Life Fellow of the Texas Bar Foundation and an Honored Scholar of the Endowment Fund for Professionalism of the College of the State Bar. Mark has been av rated since the mid 1980's by Martindale Hubbell. In 2006, Mark was honored as the recipient of the Jim Bowmer Professionalism Award awarded by the State Bar College. Mark began his mediation practice in 1995 and received mediation certification in 1996, with training at Attorney Mediator Institute in Dallas. While private trial practice continues to occupy the majority of his time, Mark has served as mediator in numerous cases since 1995. The firm began in 1977. with Richard Stovall and Mark Laney joining forces as "Stovall & Laney" and continued until shortly before the death of Richard Stovall in 1985, and then "Laney Law Offices" continued from 1985 to1990 when the firm became "Laney & Stokes". The Laney & Stokes dynasty ended when Steve Stokes left the practice to attend to his family farm operation. The firm then operated as Laney Law Firm. Troy Bollinger joined the firm in 2013, and on January 1, 2014, the firm became "Laney & Bollinger".